Aquaponics and Aquaculture are fast becoming a sustainable way of providing food security in third world countries. We have not tried our hand at either of these but plan to do so in future. There are excellent online resources available that can help you to determine the feasibility of either of these food production systems for your environment. While food production by means of hydroponics is reasonably easy to sustain aquaponics and aquaculture requires a more advanced approach due to so much more variables involved. Growing fish in a controlled environment is very rewarding but at the same time very challenging, and costly. This page is an introduction these concepts. Follow the links for more information and online resources. Hydroponics: Cultivating plants in water, often referred to as soilless gardening. Aquaculture: Raising aquatic animals such as snails, fish, crayfish or prawns in fish ponds, tanks or dams. Aquaponics: Combines aquaculture with hydroponics in a symbiotic environment. In aquaculture, effluents accumulate in the water, increasing toxicity for the fish. This water is led to a hydroponic system where the by-products from the aquaculture are broken down by nitrogen-fixing bacteria, then filtered out by the plants as vital nutrients, after which the cleansed water is recirculated back to the fish. Aquaponics produces both protein (fish) and vegetables in the same system. 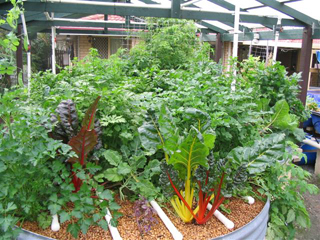 Aquaponics combines both systems, and in doing so cancels out the negative aspects of each. Instead of adding toxic chemical solutions to grow plants, aquaponics uses highly nutritious fish effluent that contains almost all the required nutrients for optimum growth. Instead of discharging water, aquaponics uses the plants and the media in which they grow to clean and purify the water, after which it is returned to the fish tank. This water can be reused indefinitely and will only need to be replaced when it is lost through transpiration and evaporation.For someone to be able to be successful at aquaponics farming one needs to have a basic knowledge of both these systems. The more difficult one is aquaculture, growing and breeding fish. It is, therefore, advisable to acquire first-hand knowledge and experience about fish farming before trying to combine aquaculture with hydroponics. Nevertheless, it is more and more proving to be a viable option for providing food security. Aquaponics is a relatively new approach to food production that utilizes the symbiotic cultivation of plants and aquatic animals in a recirculating environment. The beauty of aquaponics is that it offers a solution to a major issue in raising fish: what to do with the fish waste. Instead of polluting the surrounding area with tons of raw sewage, the waste becomes a beneficial fertilizer for plants. Catfish the Future Fish AquacultureInnovations highlights the prospects of Catfish farming in their latest monthly e-mail newsletter. In view of the rapidly rising world population and the diminishing available food supply, especially fish, we are in for some very hard times. Against this background, Catfish farming can provide an alternative to diminishing fish supplies. They report as follows: "The sharp tooth catfish is probably the world’s ultimate aquaculture species from a technical and an economic perspective. They can be farmed at super high densities without the need for aeration as they are air breathing, and with a slow water exchange rate due to their high tolerance of metabolic wastes in their water." Making fish farming work Most freshwater fish farms in tropical Africa operate with minimum investment and infrastructure. Despite this, many are doing well. What, then, defines ‘success’ in aquaculture? The Great Nile Tilapia Debate There are several species of tilapia to farm with. One appears to have the edge over the rest. But even this species is no miracle fish. Careful farming is still required.At first glance, it seems a no-brainer. 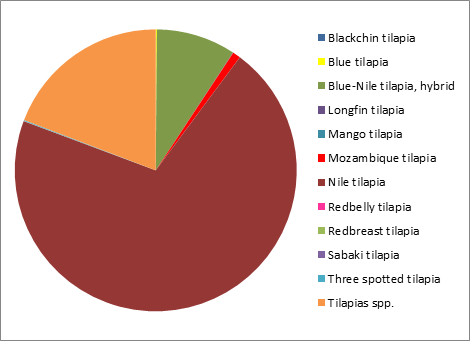 The red form of an improved strain of Nile tilapia seems to offer exactly what both farmer and consumer demand. The ‘improved’ strain has 20-plus years of genetic selection, making it faster-growing under optimal conditions. And red-coloured fish are known to be popular in the marketplace. Unfortunately, it’s not as simple as this. Tilapia farming for smallholders With tilapia culture new to South Africa, many entrepreneurs want to start small with a pilot project before investing substantial capital. This makes sense and is entirely possible. 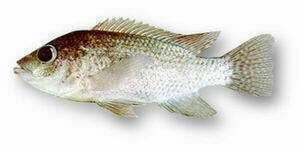 Tilapia Farming in South Africa -AquacultureInnovations News April 2013 "We have more requests for information on tilapia farming than any other species and indeed tilapia farming has become big business globally with almost 4 million tons having been produced in 2011. 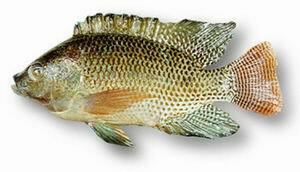 There are some tilapia farming success stories in Africa, most especially in Egypt, Ghana and Uganda. Lake Harvest in Zimbabwe is the closest example to South Africa, yet their reported production for 2012 was a mere 7 000 tons, modest when compared to the global production. Unfortunately, I am not aware of a single example of a medium or large scale commercial tilapia farm in South Africa, Botswana or Namibia. Zambia is flying, Zimbabwe has Lake Harvest and Mozambique has several medium to large operations in the roll out phase." THE OBJECTIVES OF THE GUIDELINE a) To provide guidance on the processes, steps, and procedures to follow for the authorisation of an aquaculture activity and inland fisheries b) To ensure sustainable use of aquatic resources and c) To provide guidance on the process in terms of other legislation(s) required or to be considered when an aquaculture activity is considered. Development and Operation in the Eastern Cape. • Guideline to the Authorisation Requirements for Aquaculture in the Eastern Cape. · A Commercial Mandate – The only way that a project will survive in the commercial environment is for commercial principles to be applied. · A Strong Commercial Partner – This person or group that have the authority and responsibility to drive the process at all levels. · Adequate Funding – Without sufficient cash flow for the establishment, support and running costs, the venture is doomed before it gets off the ground. Conservatively realistic time frames are part of the assessment of capital requirement. · Extensive Training – This must be part of the initial phases of the project and is supported with extension support thereafter, forever. Aquaculture is a skill intensive profession and cannot be successfully conducted by people who have not been appropriately equipped. · Shareholding - Shareholding by community members is normally the primary focus of community aquaculture plans, but this is a relatively low priority. It is more important to build a successful business which will train and employ people sustainably over a prolonged period of time than it is to give shares to people who lack the skills to make a project work in the tough commercial environment. · Employment - Aquaculture works when people are employed to perform tasks, subject to an employment contract. In exchange for meeting their employment deliverables, they enjoy not only their salary and training but also a share of the profits for that period. It is unrealistic and totally unfair to expect people to move from a subsistence lifestyle to ownership and to expect them to instantly change their worldview and to grasp the concepts of shareholding, employment, deliverables, time frames, production targets, cash flow, stock supplies, ordering, profits and dividends without adequate support being in place. Habitat: Freshwater and brackishwater inhabitants. Lives in warm, weedy pools of sluggish streams, canals, and ponds. Is mainly diurnal. Occurs at temperatures ranging from 8º to 42º C. The female usually incubates the spawn; the male should be removed as soon after spawning as possible. May form schools. Omnivorous, feeds on almost anything from algae to insects but also crustaceans, and fishes. Can be reared under hypersaline conditions. Spawn all year around when kept in warm water (above 20º C). Grows up to 36cm. The marron, Cherax tenuimanus , is a freshwater crayfish species and native to the south-western region of Western Australia. The optimum growth rates for marron is achieved between 170C and 250C. Growth will decline and eventually cease when temperatures hit below 12.50C. Mortalities will start to occur when temperatures reach 300C. Marron has been grown successfully commercially. They have many economic attributes that make them a suitable species for aquaculture. Some of these include their large size, good feed conversion efficiency and their direct life cycle. Marron farms are also relatively inexpensive to construct compared to other forms of farming with some people utilizing existing farm dams to produce marron. If you are interested in and familiar with research jargon then these websites are a great source of information. Some of these articles are open access, meaning one has free access to view and download the articles. Journal of Aquaculture Research & Development - Open access. Journal Description: "Aquaculture is the farming of aquatic organisms such as fish, prawns, molluscs, and aquatic plants related directly or indirectly to human consumption. The journal provides an Open Access platform devoted to cultivating freshwater and saltwater populations under controlled conditions, and can be contrasted with commercial fishing." - Journal of Aquaculture Research and Development. North American Journal of Aquaculture - Open and paid access. Journal Description: An international journal of the American Fisheries Society.